Posted by jeremyliew in mobile, sms, teens, text. 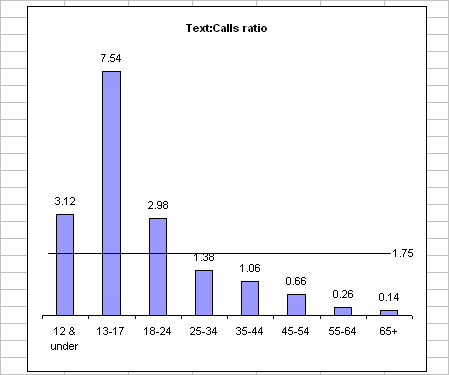 As an aside, the overall ratio of texts to calls is about 1.75:1 and has been greater than 1:1 since q4 of 2007. Which companies do readers see as making the most interesting use of SMS? 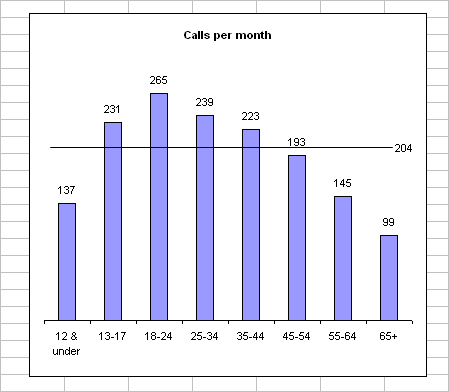 This is pretty easy to back up empirically. Here’s been my experience. Teens in school + college rely on text during the day because they are usually in classes and texting is a sneaky way to make sure the teacher or prof doesn’t see you chatting in class. When we go out at night, usually the music is so loud we are going deaf. Texting is literally the only way to communicate. 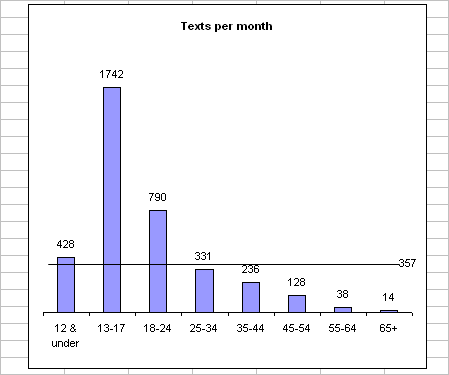 So ya, I’d say most young people just use text. And it’s so easy. Unique Information.Educational.Keep up the good work.